Skylight windows that are professionally installed by Shiner Roofing, Siding and Windows can transform your Washington, D.C.-area home or commercial establishment into a showplace with an interior that features the radiance and warmth of natural light. Shiner has provided skylight installation services in Northern Virginia, Maryland, and the District of Columbia for more than a quarter century, and we proudly offer models and designs from two of the most respected skylight manufacturers in the country: VELUX and Wasco. No matter if Shiner is installing skylight windows, a new roof, new siding, or new vinyl windows, we are the home improvement contractor of choice in the Capital region. We are licensed, bonded, and insured in Virginia, Maryland, and DC, and we have completed more than 16,000 home improvement projects in the area since we were founded by the Shiner family in 1981. 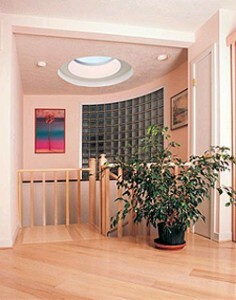 As a locally- owned and operated skylight company, we are extremely familiar with the latest trends in skylight windows in towns like Falls Church, McLean, Arlington, VA, Bethesda, and elsewhere in the region. Our great working relationship with VELUX and Wasco give us the chance to provide our customers with the finest in skylight design, convenience, and energy efficiency – including solar-powered models that automatically close if it starts to rain. Contact Shiner today if you would like an experienced home improvement expert to conduct an on-site evaluation and provide a completely itemized quote for the professional installation of your VELUX or Wasco skylight windows.